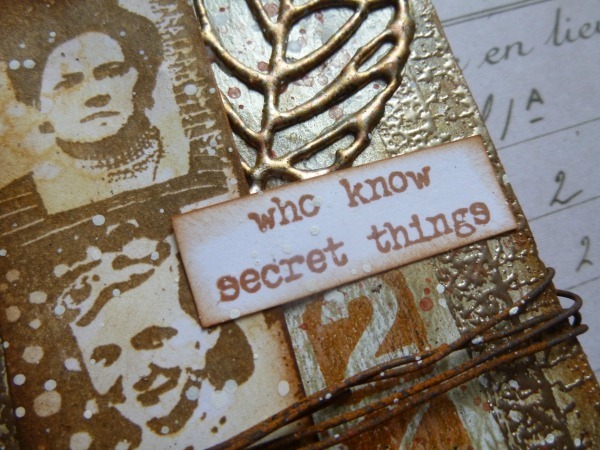 If you are a bit of a more is more crafter, and would like to learn how to master the more is more but in a subtle way, then this post is for you! 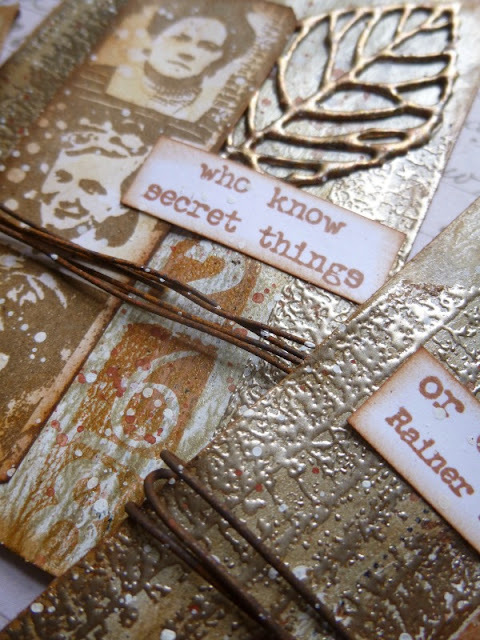 Alison's layers are soft and subtle, flicks, splats and embossing all come together in soft Vintage shades. Beautiful! 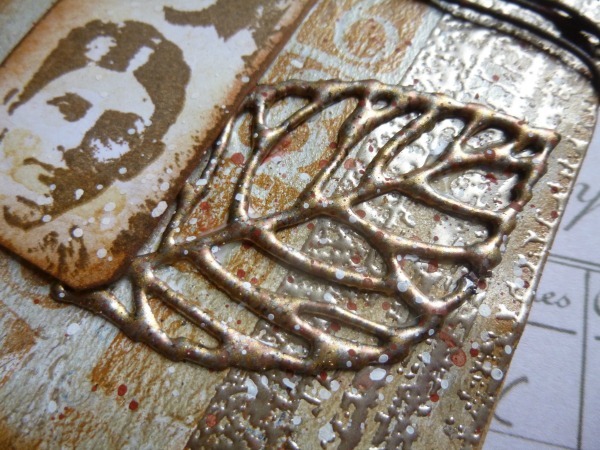 Hi everyone, it's Alison here from Words and Pictures, and I've been having a lovely time playing with some metallics both old and new. From the moment the White Fire Fresco Chalk Paint arrived on the scene, I loved it. 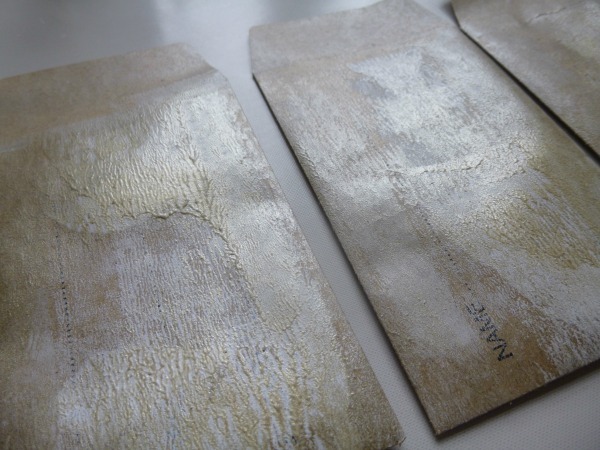 It has such a fabulous sheen and a delicate gleaming hint of silvery-gold. I also noticed how close it was in colour to maybe my all-time favourite metallic embossing powder, the Ranger Liquid Platinum. So for this collection of altered money-envelopes I decided to combine the two. I toyed with brayering the White Fire directly onto the kraft envelopes, but then decided I'd get more layers, more texture and probably more golden gleam if I did a couple of sweeps of Snowflake Fresco Chalk Paint first. That was my base layer. I love this recent Everything Art set, EEA06. 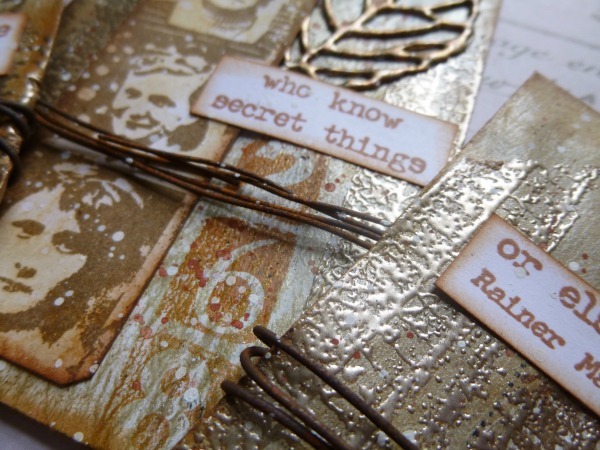 It has such great elements for adding background detail and texture, as well as those haunting vintage photos. 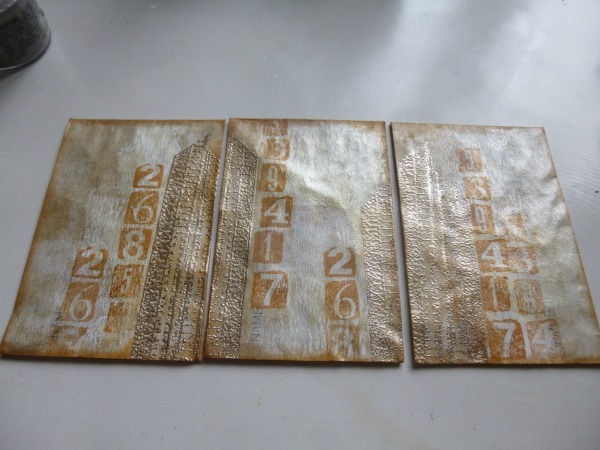 My very first idea was to emboss those broken frames in the Liquid Platinum, so that it would look as though they were emerging from the brayered White Fire background. Very happy that it turned out exactly as I'd imagined! 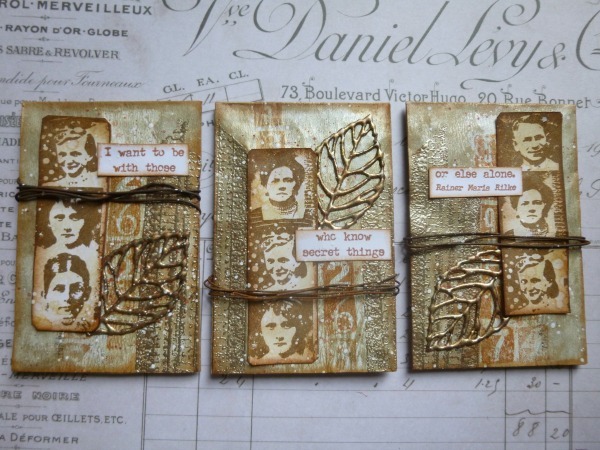 I layered in some more stamping in Sepia Archival, and also used the ink around the edges as well as over the embossed frames for more burnished look. By this point, I'd also stuck the envelopes onto some stiff card so that they would behave themselves and stay flat. I know myself well enough that flat out shininess is not going to make me happy, so the Sepia Archival was the first step towards a slight rustiness... and some actual rusty wire put in an appearance pretty soon after that. 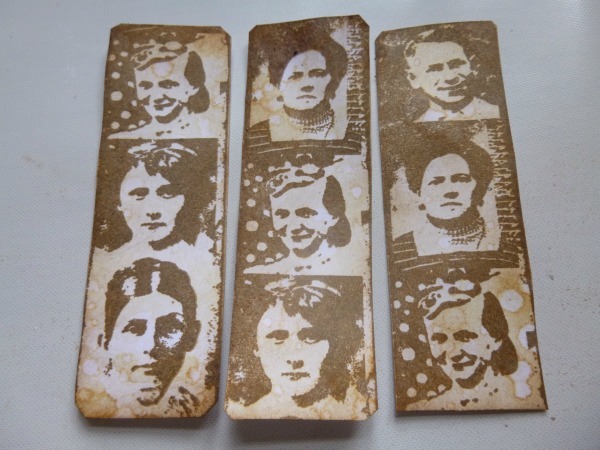 I stamped the strip of photos in Potting Soil Archival, but since I wanted slight variations for each of my envelopes, I cut a different trio of people for each one. 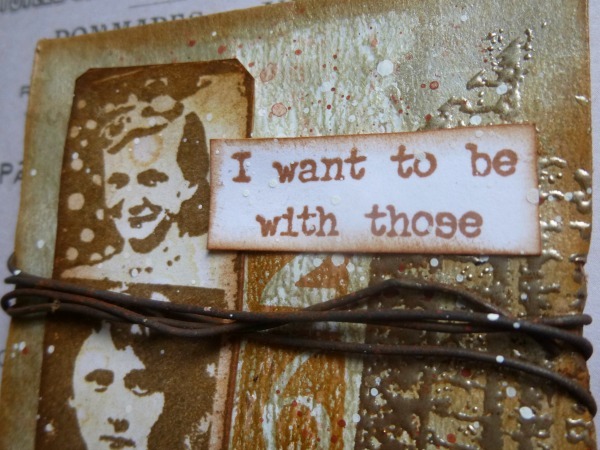 Of course I needed the vintage look, so I weathered them with some Antique Linen and Vintage Photo Distress Inks. And I also knew from very early on that one of my own word stamps was calling to me from those faces in the photos. 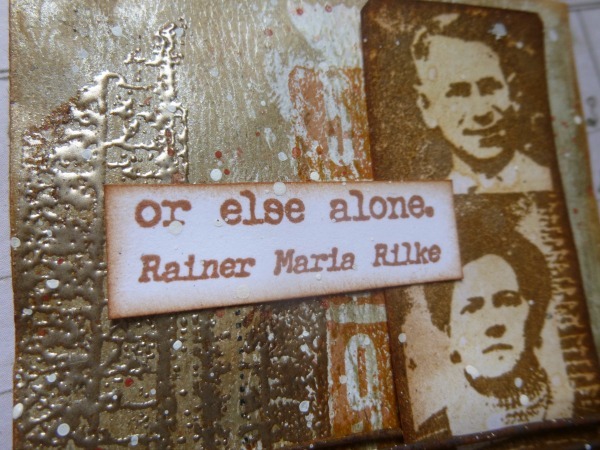 It's from EAB03 Music and Silence, and it's a quote by one of my favourite writers, Rilke. It just wanted to come and play with these images. And, if not, at least two or three of them have a strong desire to be alone... so perhaps they're the ones "saying" the words. I used the Stampendous Chunky Metallic (of course) Embossing Enamel in Seasonings (I guess they mean it's sort of salt-and-peppery?) for them, and I do like the finished effect. As I said, I love the subtle gleam and glow of the White Fire - it's already less full on than some metallics - but even then I can't resist going down the slightly decaying route. I guess I'm just not one for clean and shiny. And especially with such vintage-style images it felt right. I do like the embossing for the frames - I think that works really well to give a look of antique picture frames - I suppose it's a "realistic" way to use the embossing powder. Thanks so much for stopping by today and I hope you've found some metallic inspiration to play with here. This is simply amazing! What a wonderful inspiration and masterful crafted! Stunning! 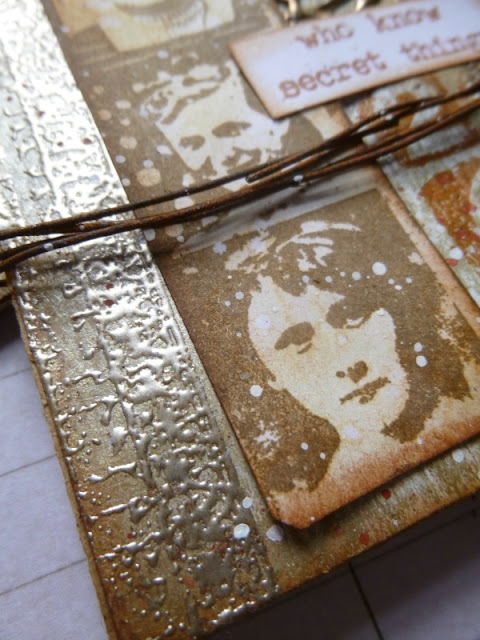 I love the white fire fresco, and the embossing is just perfect! Vintage, chunky EP, white fire... right up my street! Gorgeous makes, Alison! Love the subtleness when you first look, then when you study all of the 'elements' Wowser!! I love the subtle marriage between the brilliant embossing and the rust. A fabulous creation. Absolutely wonderful Alison! I'm awestruck! Thank you for telling how to, and for making my afternoon so beautiful !! Amazing as usual. Love your work and these works are great Alison. I must get that stamp set. These are so gorgeous. 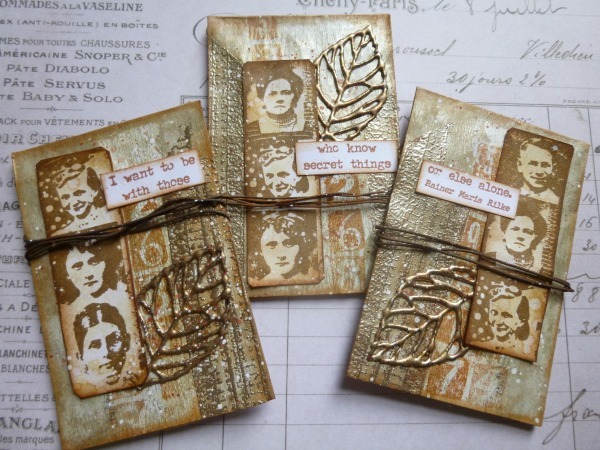 Like everyone else, White Fire Fresco is one of my favourites and it looks fabulous here with the embossing powders. Wonderful metallic look to your 3 beautiful pieces Alison! Beautiful texture and design!